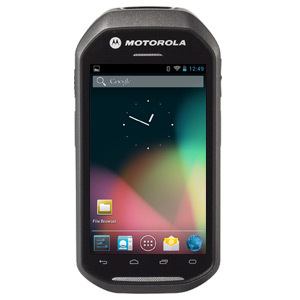 Provide your mobile workforce with the efficient Motorola MC40. The MC40 exterior design matches the contemporary mobile consumer-style devices with an interior designed for business. Authentic business-class durability, security and a wide-ranging set of features incorporating laser bard code scanning, push-to-talk and an integrated magnetic stripe reader. The MC40 has been discontinued and replaced by the TC51. View all TC51 Android Barcode Scanners.